For the Ezru-directed visual, the Cinematic Music signee kicks it with her crew, boasting and bragging about being someone folks should be aware of. Rightfully so. With hard-hitting, confident bars, it’s more than obvious that Abby has the confidence and demeanor she’ll need to succeed in a cut-throat, male-dominated industry. 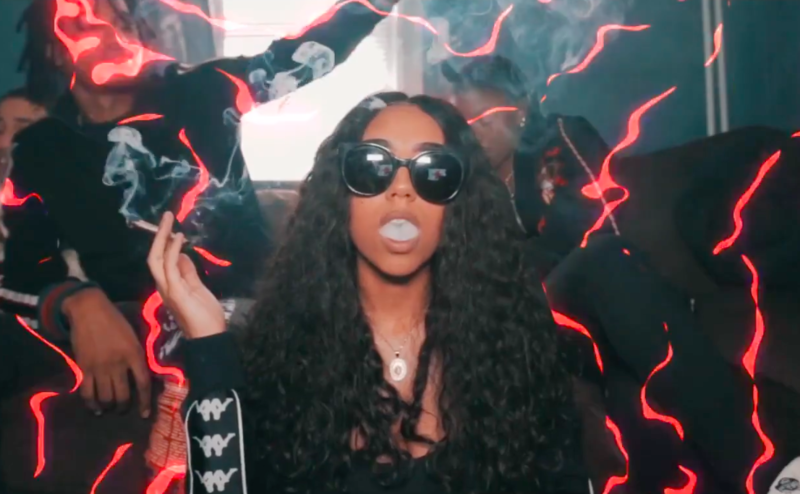 The 19-year old beaut is already making some serious noise after only releasing two official freestyles: “Long Live”, the visual we’re premiering today, and the emphatic “Bless Yo Trap”, which helped put Abby on several folks’ radar. We expect her to have a major 2018 and it’s videos like this that confirmed that. Check out the Karen Civil premiere of Abby Jasmine’s “Long Live” video below and be sure to follow her.